Celebrate success, acknowledge support – the Camino way. Check this! I just finished walking over 1200km from Cadiz in Southern Spain to Santiago de Compostella in North West Spain. In a venture that took 5 trips to make the distance, I just walked 210km in 7 days to complete the final stage of the Camino de Santiago. Walking along each day gives you the chance to slow down, to think and to reflect. That’s what this blog post is really about, I’ve been reflecting on my learning journey and about the success and support I’ve had along the way. Before I come to that though, I’ll enlighten you a little bit about the Camino itself. The Camino de Santiago is the name given to a collection of pilgrimage routes that lead from all over Spain and Europe to the cathedral of Santiago de Compostella and the shrine of St. James in Galicia in North West Spain. The place has been a site of pilgrimage since the middle ages, and indeed it continues to thrive as such today. Easily, 500 to 1000 modern-day pilgrims arrive into Santiago each day in the summer months. Pilgrims come from all over the world. They walk alone, as couples, as families or as groups and associations. They are amazingly diverse: from the octogenarian undertaking a few kilometers each day, the life-logging speed merchant, the holidaying couple or professional on sabbatical to the infant being pushed along in its buggy or the joyful group of ‘jovenes’ who bounce along the track as they belt out their Camino ‘playlist’. 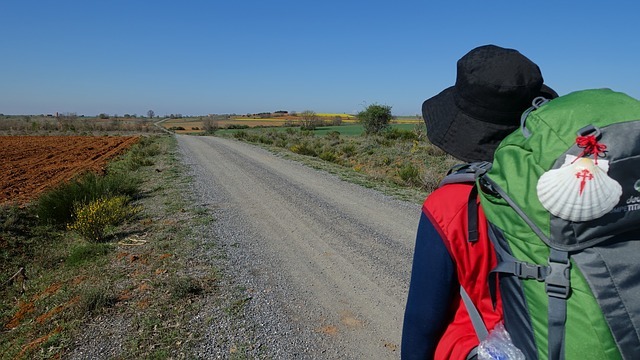 Needless to say, motivations to undertake the journey are myriad, some deeply personal or religious, some to do with the physical or social aspects of the Camino whilst others take it as an opportunity to disengage from the frenetic pace of modern day life. What’s my motivation you might wonder. Well, the route(s) is signposted as a European ‘cultural itinerary’. Frequently the word cultural is scribbled out in favor of the word spiritual. I asked my husband, Steve, why we were walking the Camino; he said “because it’s an itinerary” – as in ‘because it’s there’. Sounds about right. There’s fantastic infrastructure associated with the Camino. If pilgrims wish to gain the Compostella, the traditional certificate of a successful pilgrimage, they need to carry a pilgrim’s passport and get it stamped along the way. We were intent on gaining the certificate, but we were also spurred on by the thought of celebrating our success in a nice restaurant with a menu that included scallops and a bottle of fine wine, particularly apt as the scallop shell is the emblem of St. James and is worn by pilgrims to distinguish them as such. There’s also provision made along the way for pilgrim accommodation or shelter. As is tradition, municipal albergues or religious orders provide dormitory accommodation for around €10 a night. You can however choose your lodging according to your purse, 5 star paradors if you like. We are in the complete minority and carry a tent as it gives you loads of flexibility in terms of the distance you can walk each day. Free camping is permitted in Spain. You can call it wild camping, guerrilla camping or stealth camping if you prefer; either way, it’s not for everyone. Besides, you actually have to carry the tent, plus the rest of the gear that camping entails, and no matter how ‘lite’ you go, it inevitably all adds up. I wouldn’t be able to carry it all on my own. I carry what I can (camping stove, food, water) but I don’t actually carry the tent. Steve has to carry that. This is where I got to thinking about the support we receive as we go along in life. Support that without which we couldn’t do half of what we do or be half the person we are today. This got me thinking further. As much as I might like to think of myself as an autonomous learner, you have to wonder if the notion isn’t just a little phony. I mean, if I read a book then surely I’m learning from the author. You get the point; the author is facilitating or supporting my learning. Similarly, since I started using Twitter, started blogging and learning in MOOCs and in open networks my learning has been marvelously facilitated and supported by a whole bunch of people, people who share their work openly online or who engage online and take an interest. I’ve recently been fortunate enough to have been awarded a 4 year, fully funded MRes/PhD studentship with CREET (Centre for Education and Education Technology) at the Open University. I start in October. Such an occurrence wouldn’t have been possible if it wasn’t for the help and support I’ve received from others. Here, I’m particularly thinking of people such as Jane Hart, who alerted me in the first instance to the potential of Twitter and whose workshops have helped me understand the evolving landscape of learning that’s both social and personal; Steve Wheeler who showed me the value of Twitter and nigh on chapter and verse regarding Web 2.0 and digital pedagogy; Harold Jarche, blogging genius and formative thinker who prompts me to consider how life is altered in the network era; similarly, Jeff Merrell who’s opened up his master’s course to explore innovations in networked learning; Catherine Cronin, who warmly and inclusively engages the conversation about openness and the democratization of learning, and who’s wonderfully supportive on a personal level too, as is Sharon Flynn and Mary Loftus and the ‘Signals of Success’, or OLDSMOOP, group that includes Paige Cuffe, Sheila MacNeil and Yishay Mor. Finally, before I go, if you want to get more of a feel for what the Camino is about, you might like to check out the film, The Way, starring Martin Sheen; it does a fair job of capturing the spirit of the thing. Or, if you like, you can check out my FB photo album here. Literacy: not a desk job, but an identity job. It’s funny where an image can take you and what associations pop into your head. Steve Wheeler @timbuckteeth, egged on by Amy Burvall @Amyburvall, have unleashed a bit of a blogging sensation this week #blimage. The idea is, you’re presented with an image and you have to craft a blog post based on the thoughts that it conjures up. 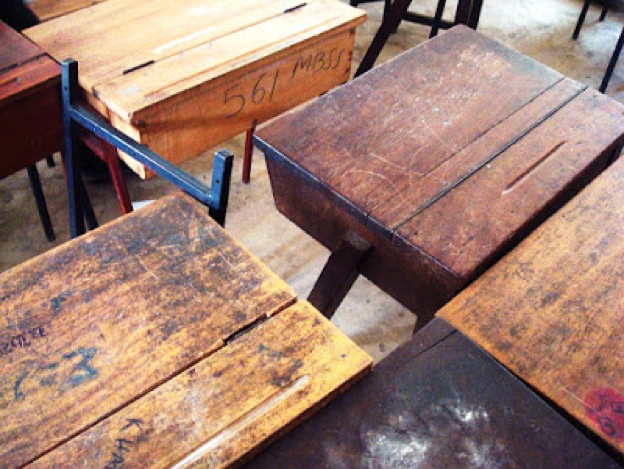 Steve threw down the gauntlet with this image of old school desks. The image immediately made me think of the school in Beamish Museum (the living museum of the north); I’ve always had a thing for the social history of ordinary folk. Any way, I couldn’t help thinking of how reading and writing was done back then. I thought of the evolution of writing on slates with chalk, to writing in your jotter with a fountain or ball point pen, to nowadays when keyboards process your words. I thought of how you were made to sit at your desk, in rows, and how learning is heavily associated with classrooms. I thought of how these experiences of reading and writing are powerful and how they come to mean things to people, to mean different things to different people, and that these meanings are dependent on their situatedness. I remembered (gosh, I’m starting to sound old) when I was doing my teaching placement, when I was confronted by one young lad, a recent school leaver, who would hardly pick up a pen in class (who am I kidding, it wasn’t just one). Any way, in the jottings of my reflective practice, he would have been called a ‘reluctant writer’. That is, until I encountered him in the Student Services, or Guidance, office where he was flourishing his pen with gusto as he completed paperwork to join the Army. He was reluctant to write in class as the tasks being set were, in all honesty, not ‘authentic’ and not aligned with the identity that he wished for. So now, with all the talk of digital literacy and digital skills, I think it’s important to remember this little tale as it’s not just a matter of prescribing a set of skills for individuals to acquire, but a matter of developing them in context, mindful of the fact that it’s an identity job. The #blimage challenge can be taken up by anybody. Go check out the hashtag. Earlier this week I attended the CIPD L&D Show in London. Apart from the Learning and Skills exhibition that I attended earlier in the year, it’s the first event I’ve attended where the learning discussion is framed within an organizational or business context and I was interested to get to grips with the debate on the ground. How are organizations coming to terms with social/networked learning and increasing learner autonomy? It’s here I think some kind of serendipitous synergy might have come into play as one of the conference sessions was ‘Supporting Autonomous Learning to Support Business Objectives’ by Andrew Jacobs, a name that’s been starting to appear quite frequently on my radar of late. The session did not disappoint. It set the context, outlined the challenges and put forward practical ideas for implementing an autonomous learning offer. I might add here that I was particularly pleased that I was up to speed with the 360 of ideas, concepts and thought leaders at the forefront of this new learning paradigm. Not surprisingly, there’s anxiety about measuring outcomes in learner driven initiatives. However, the new mindset required was brilliantly illustrated with reference to the clothesline paradox. A term originally coined in the context of alternative energy. 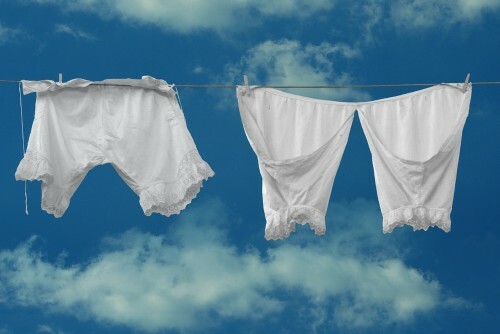 The premise is simple; you can either put your clothes in the dryer where the energy you use can be measured and counted, or you can hang them out on the line where natural energy works its magic to achieve the same result. So, there is in fact, an ‘informal’ energy economy which cannot be easily measured and credited. Just like…You got it. Yep, I can’t help but love that one!! It seems, as learning increasingly moulds to the ways of the web and learners become more autonomous, that learning outcomes can no longer be measured and counted in the same ways as before. When learning value is created it will be manifested and made meaningful in different ways and in different parts of the learning ecosystem. Permeating the conference was the analogy that L&D practitioners ought to act more like engineers than shopkeepers. That is, concentrate less on selling products (i.e. courses) and more on diagnosing and solving business problems. I wonder if a few plumbing skills might also be called for in order to allow learning to flow, not only within the organization but to flow from the whole learning ecosystem that now permeates its walls. Ah, this might be what Mr. Jacobs was referring to when he says the role of L&D has to now become one more akin to that of a connector. Just like a plumber. Another thing that the session made me think about that I hadn’t realised as being so important, or even possible, was encouraging self-organising groups. In education all the talk is of facilitating learning, usually in courses. However, what was being proposed here (I think) was to let the individual, the community or the work team articulate their own goals, seek their own solutions and be self-moderating (think community is the curriculum) all the while consuming/producing user generated content, just like on the web and in informal learning. A point that leads nicely back to the scene setting at the start of the session where the point was made that school leavers entering the workforce are now younger than Google. Yikes!! No wonder, I needed a drink.